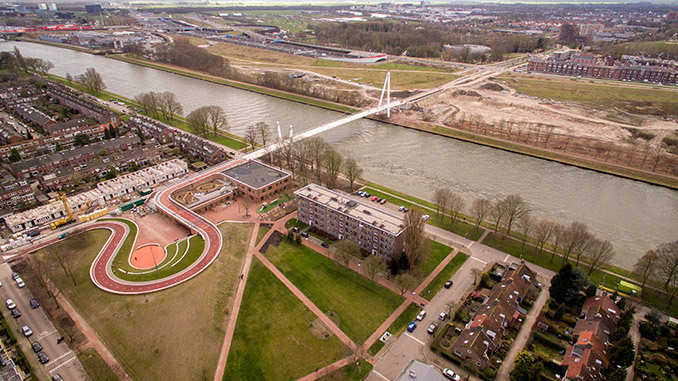 The Dafne Schippers Bridge is ingeniously integrated into a school building and a small neighborhood park. Bureau B+B worked closely with the architects (Next Architects and Rudy Uytenhaak + partners) to forge all the different elements together into a coherent landscape. 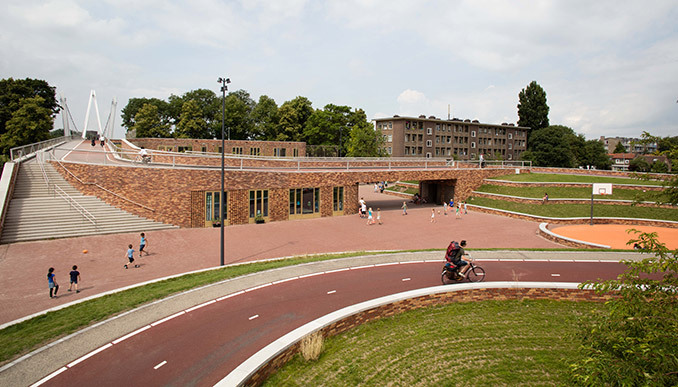 Bicycle riders go up a loop and cross the school’s gym to cross the Amsterdam Rijn Canal. The safely enclosed schoolyard is oriented towards the park: a continuous green space that carefully incorporates all the new elements. 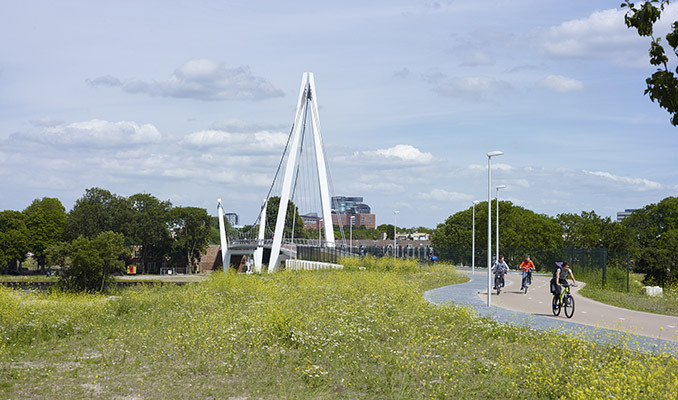 The new bicycle bridge over the Amsterdam Rijn Canal connects the new town Leidsche Rijn with the inner city of Utrecht. 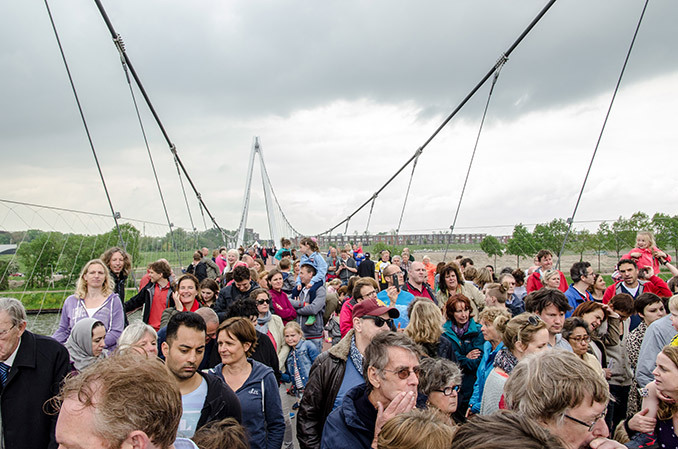 To make way for passing ships, the bridge rises up to 7 meters. This makes it possible to fit a school underneath the bridge. 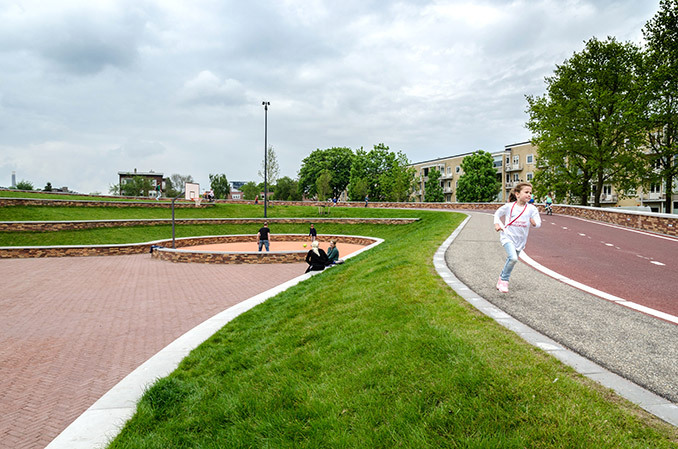 The building, the bridge and the surrounding Victor Hugo Park are designed as a coherent unity. This demanded intense cooperation between the architect, the bridge designer and the landscape architect. Because the bridge runs over the roof of the school, every side of the building is surrounded by light and space. There are no blind walls. The view of the passing bikers is never obscured by the building. 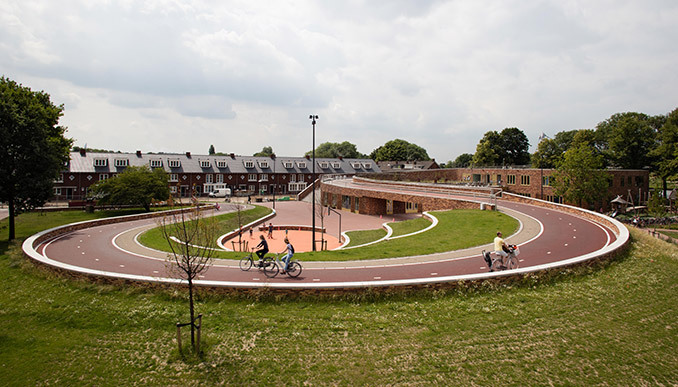 A wide loop lifts the biker from the park onto the roof of the gym. From there the journey continues through the treetops to a panoramic view of the canal. The braided cables of the bridge create a slender archway to the new town. 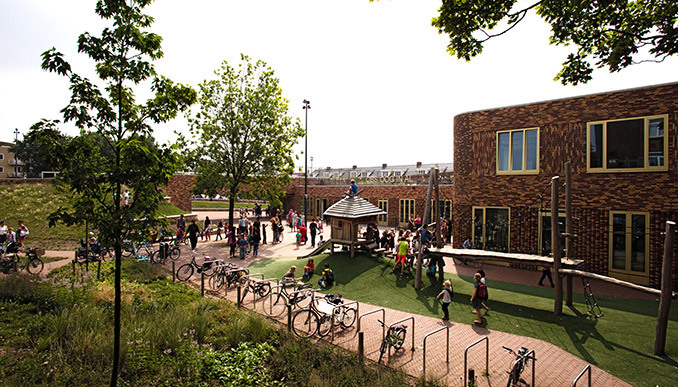 The shape of the building creates a safe and enclosed playground for the children. The wide side of the school closes of the park from the canal. 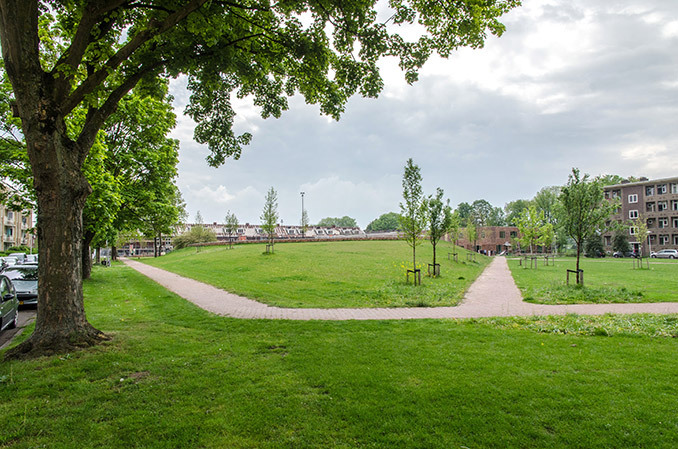 The school and the schoolyard are clearly oriented towards the park. Because the building is narrower on the east side under the bridge, this is the most natural place for the main entrance. Aligned with the street, it is a visible place to kiss and ride.